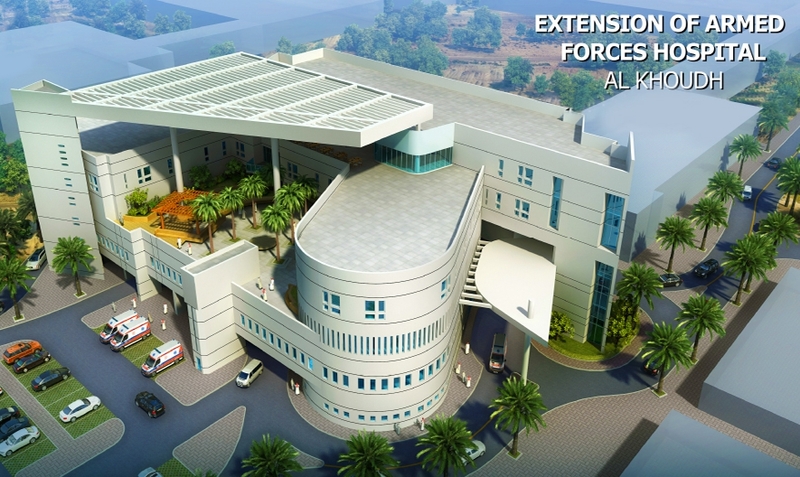 MEP Division has clinched theThe Extension of Armed Forces Hospital at Al Khoudh projectfor carrying out the MEP works. BEC’s over 3 decades of expertise in carrying out MEP works for Healthcare sector paved the way for securing this prestigious job. The project from Ministry of Defence comprises of a 6 storied building including basement and a dedicated service compound, which will add 119 beds to the existing Armed Forces Hospital. The expansion of Armed Force Hospital increases the number of inpatients beds within the facility from 251 to 370 beds. The Client is Ministry of Defence and the project is designed by M/S Khatib & Alami. The civil construction of this 19,200 M2 built up area hospital expansion will be carried out by M/s. Impresa Costruzioni Generali Giuseppe Maltauro – A JV between Maltauro Spa, Italy & Gharbia Enterprises, Salalah.